What good is Santa Claus? December 6th is Saint Nicholas' feast day and Christmas is only a few short weeks away which has become Santa's big day. The elves are out on their shelves, lists have been made and the shoes are patiently awaiting their gold coins but it can all just seem like a big old ruckus (yes, I said ruckus). As it is, in the hustle and bustle of Christmas prep we rush here and there missing out on the quiet of Advent. Playing Santa adds yet another thing we have to do. Hide the gifts, change the wrapping paper, make the cookies, eat the cookies (ok so that one isn't so bad) stay up late on Christmas eve putting together that 5,000 piece play kitchen. We don't really need another reason to be stressed, do we? So then, what good is Santa Claus? Would the real Santa Claus please stand up? As any good story the facts spread and changed somewhat over time. The story of Saint Nicholas came to America by way of the Dutch settlers in New York who maybe had one too many Heineken on the way in. The iconic images and stories that we have come to attribute to Santa Clause all began with these real stories of Saint Nicholas. His Bishop robes soon became a red suit. He was known to have many 'little helpers' and his anonymous acts of kindness and posthumous healing balm took on a sense of magic. Then in 1822 a professor of Greek and Biblical Studies at General Theological Seminary of New York, named Clement Moore wrote "A Visit from St. Nicholas" (more commonly know as "Twas the Night Before Christmas") and boom, before you can say 'you better watch out' Santa Clause was born, rosy cheeks, big belly, bag over his shoulder and reindeer in tow. 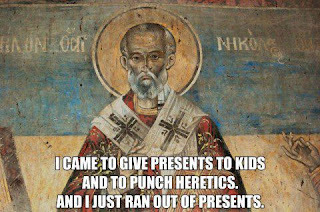 Say it with me now, Saint Nicholas...Saint Nick Claus...(drop the Nick) Santa Claus! Even the name Kris Kringle comes from the German word Christkindl or Christ Kind known as the 'giver of good gifts' (you don't say!) and even though originated as a term for the baby Jesus eventually became attributed to Santa Claus. And so, little children all over the world wake up on December 25th and race to the tree to see what joys await them. Now you know the rest of the story. Paul Harvey would be proud. To Santa or not to Santa? Not everyone however, carries on this tradition in their homes. 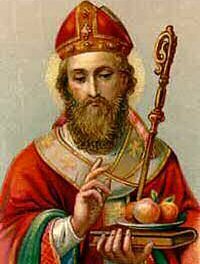 Growing up I didn't know anyone who didn't believe in Santa Clause as a young child but I also never heard anything about the real Saint Nicholas. 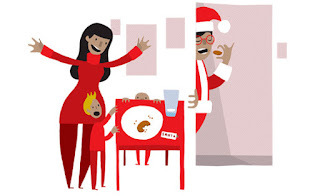 Now, as an adult I know many families who simply choose not to do the 'Santa thing'. In some ways you can't really blame them. 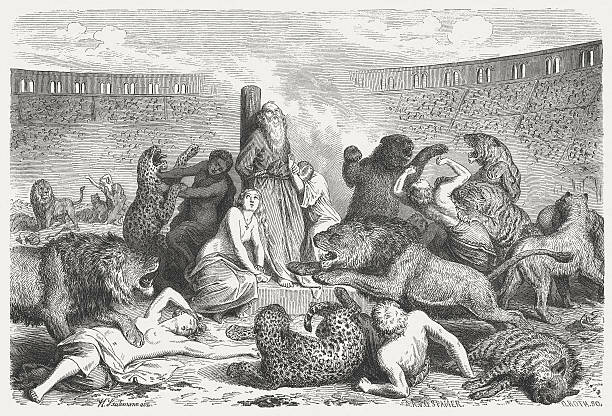 There are so many idols in our western culture, so many things distracting us from truth that it makes sense to not want to set up one more materialistic mindset that just ends up being a little bit of a disappointment in the end. Some people just don't want to lie to their children. Some think their children will be scarred when they find out he's not real. All valid points, I think. Other people go Santa crazy! It's all about Santa and lists and elves (on shelves even). They bake cookies on christmas eve and leave snow filled footprints, reindeer drops and just enough crumbs to indicate that the big man was there. The look of joy on their children faces on Christmas morning makes it all worth it. I get that too. Many others fall somewhere in-between, myself included. 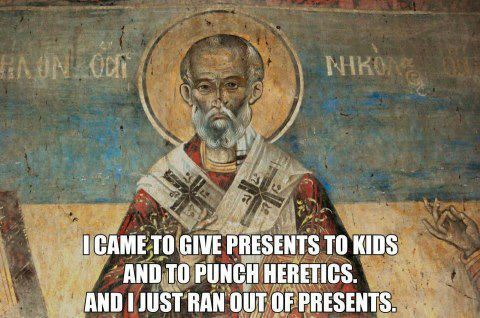 We talk a lot about Saint Nicholas in our house, his life, why he did the things he did. They know that he is the real Santa Claus. They know that elves and reindeer and the North Pole and all of those other little bits of Santa icing are not real and that those are things made up for tv shows and books. They also wake up to gifts left by some mystery on St. Nick's feast day and Christmas morning and they look forward to it all year long. Sure I'd love to be able to say that they really get the real reason for the season and that they look forward to baby Jesus' birthday more than gifts from Santa but they are kids and gifts take precedent no matter how cool our Jesse tree is. There are many variations and surprisingly enough it's a highly debated issue in mom circles. 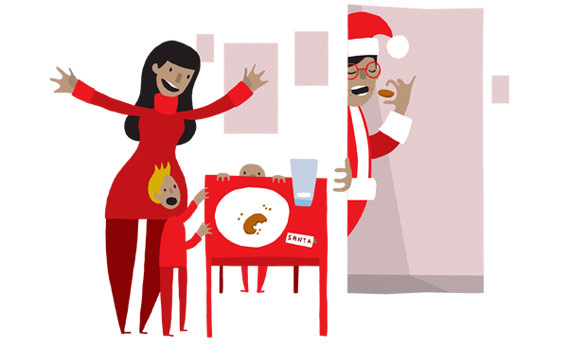 Whatever method of 'Santa' you take on in your household (or don't) there is a lesson to be learned by the whole phenomenon that all of us can benefit from, even if you don't have your own red felt suit. Adequate Anthropology - If you've read my blog before you've heard me mention this term once or twice. Pope John Paul II spoke a lot of the 'identity crisis' of this age. We do not know who we are or what we were made to be. One important concept when understanding our theological and ontological (big word of the day) origins is the idea of being as gift. Think of the best gift you've ever received. You didn't earn it, you probably didn't ask for it, the giver didn't expect anything in return and the gift showed that the giver knew you in a way that was surprising and joyful, and more than you could have ever asked for yourself. Maybe you've never been given a gift like this. Or, maybe you have and you never realized it. Thats right, I'm speaking about your life, your very existence. You didn't have to be. God created everything (including you) out of sheer goodness. Your life is a gift in the greatest sense of the word; unmerited, abundant, generous and joyfully surprising. When we understand this about ourselves it can change the way we look at life and the way we live our life. My being and all being is a GIFT! Ok, so what does this have to do with Santa? Well, that understanding of unmerited gift is a hard one to get. We're overly skeptical of things that sound 'too good to be true' - like a gift that we can't possibly repay. But we haven't always been that skeptical. At one time I believed that a fat man shimmied down my chimney (perhaps only moments after we had put out the Christmas eve fire) left gifts under my tree and then vanished with his team of flying stags to every other child in the world. Why? Just because. Because I was a child and because I was good. End of story. Not because I had behaved (thats a construct of Santa Claus is coming to town and the Elf on the stinking' shelf) but just because I AM good. I'm made that way, by God. I hadn't earned the gifts, I certainly couldn't pay him back and they were such a delight! We adults could use a little more of that in our lives; learning to receive good gifts in our lives just because we have a good father. A sense of wonder and amazement at the beauty of the word is something that comes naturally to children. They experience things as they are, full and beautiful and exciting. As adults we learn to be skeptical. We learn to take whole beautiful things and break them apart into a million pieces and use them for whatever we need them for at the moment. Children don't do that. When they encounter beauty it stops them in their tracks and it makes them wonder. Where did it come from? What is it for? Who made it? Wonder leads us to God and all the gifts He has for us. Santa Claus makes children wonder in the best sense of the word. How does he do it? What does he look like? What will he bring? Those questions come naturally as children but we don't have to lose that sense of wonder when we grow up and no longer 'believe'. 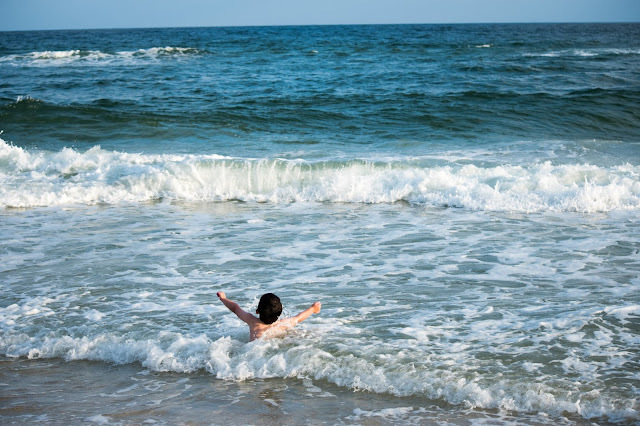 Learning to wonder as a child can teach us to wonder at life as an adult, to stay childlike in the way that Jesus calls us to. Santa gets it, and he helps us get it too to some degree. What has happened to me has been the very reverse of what appears to be the experience of most of my friends. Instead of dwindling to a point, Santa Claus has grown larger and larger in my life until he fills almost the whole of it. It happened in this way. As a child I was faced with a phenomenon requiring explanation. I hung up at the end of my bed an empty stocking, which in the morning became a full stocking. I had done nothing to produce the things that filled it. I had not worked for them, or made them or helped to make them. I had not even been good – far from it. And the explanation was that a certain being whom people called Santa Claus was benevolently disposed toward me. . . . What we believed was that a certain benevolent agency did give us those toys for nothing. And, as I say, I believe it still. I have merely extended the idea. Because we know about the real Saint Nicholas and that he is enjoying eternity with Christ whom he gave his life to wholly we can without hesitation tell our children that he is real. He is more alive than we are. In the gospels we learn of the story of the rich young man. A rich young man approaches Jesus and asked him what good he must do to have eternal life. Jesus reminds him that there is only one who is good and then tells him that he must follow the commandments. When the young man tells him he has done all of this Jesus tells him to go and sell everything that he owns and to 'come and follow me'. In the gospels the rich young man goes away sad because he has many possessions. 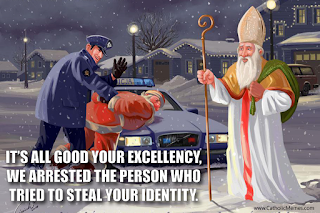 Saint Nicholas shows us what would have happened if the young man would not have walked away sad. He was, quite literally, the rich young man. He had been raised to follow the commandments by his parents. And when the day came when he was forced to ask the question 'what must I do?" He heard the answer, gave away all of his things and followed Christ without delay. When we teach our children about the real St. Nicholas they will, without question, be led to Christ. St. Nicholas' mission was to do good and lead others to Christ. He teaches us those same lessons now that he advocates for us in heaven. So, if Saint Nicholas is really real what role does he play in our Christmas? I think we know the answer to that without even having to think very hard. Christmas is a time of goodwill. It's a time when we dig a little deeper to give to those in need, when we smile a little more at the stranger in the grocery store and we value our family and friends in a way that we may take for granted other times. The savior of the world has come as a baby and shepherds and kings are bowing down at his cradle. Humanity is unified in our utter desolation and we are unified in our common salvation, Jesus Christ. 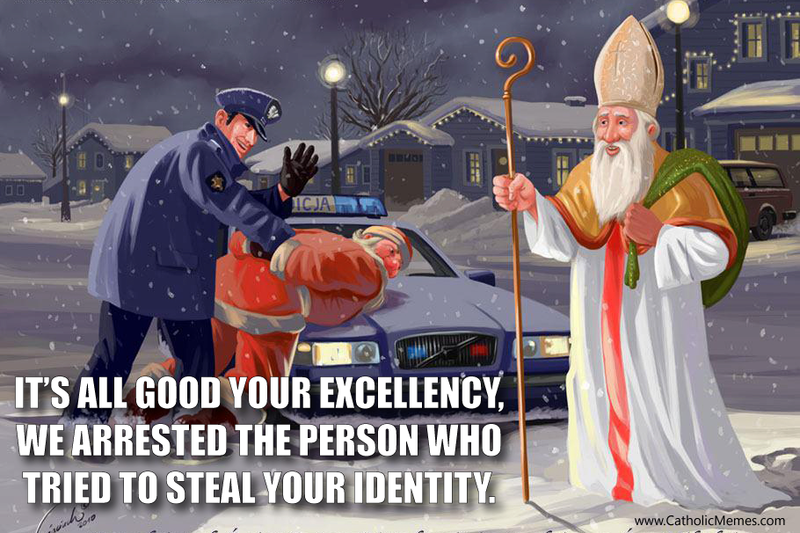 This is what Saint Nicholas teaches us. He was good, sneaky good, so that others could wonder at the gift of Christ. And so, it's our job to continue his legacy. We can think of all sorts of ways to be sneaky good at Christmas; make cookies and bring them to our lonely elderly neighbor, bring a coat and a hot meal to the homeless, raise money for someone who can't afford the joys of Christmas, give to foreign missions and yes, teaching our children about joy and wonder even if its by allowing them to believe in Santa Claus. Then, when they no longer believe in the fat man in the suit, invite them to become part of the wonder, teach them to be sneaky good too.